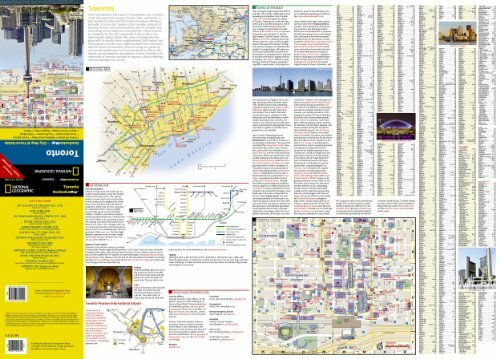 National Geographic's City Destination map of Toronto was designed for business and leisure travelers alike. Canada's capital city is covered with unparalleled detail in a unique package that combines a easy to read street map and travel guide. A regional map and an inset map of the city center, along with information about the city and its points of interest are featured on the front side of the map. A user friendly index of streets, hotels, public buildings, points of interest, metro stations, parks and beaches will help you find your destination quickly. While an overview of the transit system, a comprehensive metro map and map of Toronto Pearson International Airport will aid in your navigation around the city. 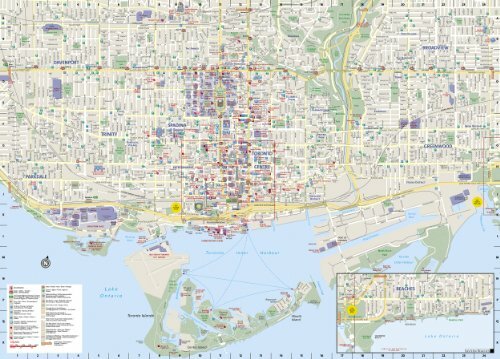 A detailed street map of the city is shown on the reverse side, including the Toronto Islands. as well as an inset map of the Eastern Beaches. Points of interest, theaters, monuments, hotels, churches, parks, visitor information centers, notable buildings, underground walkways and pedestrian areas are clearly marked and easy to find with the multi-language legend. 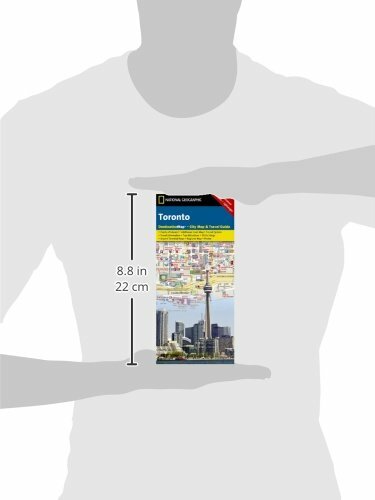 Many popular attractions are depicted in 3D, including the CN Tower, Ontario Parliament Buildings and Eaton Center. The location of train and metro stations, ferry routes and parking areas will further assist your exploration of the city. Sheet Size = 24.75" x 17.75"